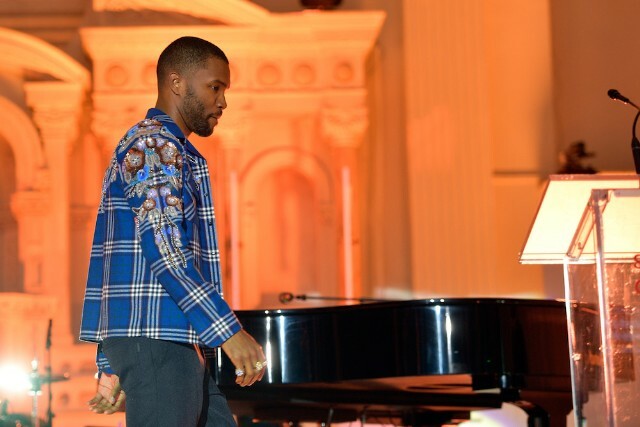 Frank Ocean collaborator Om’Mas Keith has countersued Ocean after a lawsuit the singer filed against Keith earlier this year. Previously, Ocean alleged in court that Keith had falsely registered himself with ASCAP as a cowriter of eleven songs on Ocean’s 2016 album Blonde, which would theoretically allow Keith to collect a percentage of publishing royalties on those songs. The conflict seems to stem in part from an arrangement between the two musicians regarding Keith’s Channel Orange work, which was once described in a New York Times article as “help [with turning Ocean’s] sketches into major-label-release-ready album cuts.” Neither party disputes that Keith agreed to receive a flat fee for Channel Orange, meaning he would not receive any of the royalty percentages associated with a songwriting credit. Ocean’s suit alleged that he and Keith verbally agreed that Blonde’s pay structure would be similar, and that Keith balked when he was asked to sign a written version of that agreement. Keith’s new suit says he made it clear to Ocean that he would not accept a flat-fee deal for Blonde. Keith claims that he has not received any Blonde royalties. His suit is asking for Ocean’s suit to be thrown out, and for unspecified damages related to the allegedly unpaid royalties.